I’m in Washington, D.C. today as an Alzheimer’s advocate. Why? Three years ago my life took a very unexpected change in course. In 2011 at the age of 56, I was diagnosed with younger-onset dementia, probable frontotemporal dementia (FTD). But my journey, although altered, is by no means over. I have chosen not to let this disease isolate or silence me. After my diagnosis I found it difficult to locate services and education for people with dementia; everything seemed to be for the caregivers. I started to advocate for more support, and with the help of the Alzheimer’s Association I started a local support group for those affected with Early Stage & Younger Onset Dementias and their caregivers. My involvement with the local chapter of the Alzheimer’s Association led to more advocacy opportunities. I was empowered to share my personal story about this disease, raise awareness and needed funds, while also helping to reduce the stigma associated with dementia. As an advocate, I have chosen to use my voice while I still can. It gives me a sense of purpose, and a reason not to give up. I encourage others living with Alzheimer’s and related dementias to consider advocacy as a way to feel empowered and engaged in their own lives. Last year I attended the Alzheimer’s Association Advocacy Forum for the first time. My experience was an extremely stimulating and overall rewarding opportunity. I felt inspired and motivated by my encounters with other advocates living with dementia. They encouraged me to become more involved. I wanted to contribute by using my insight as a person living with dementia, so I submitted my nomination for the National Early-Stage Advisory Group and I was selected to join the 2013 cohort. Over the past year, I have shared my personal story at the National Alzheimer’s Project Act’s (NAPA) Advisory Council on Alzheimer’s Research Care and Services meeting, attended a Senate hearing for the Subcommittee on Labor, Health and Human Services, and Education, and Related Agencies and met with my state legislators. It is such a great feeling to connect with others living with dementia and reminds me that I am not alone. With my expectations fulfilled from the last year’s Forum I look forward to continuing to encourage Congress to address the needs of individuals and families affected by Alzheimer’s and related dementias through legislative action. As advocates, we have strength in numbers. Since devoting my time to advocacy, it has given me a renewed purpose in life. My hope for the future of Alzheimer’s and other dementias is that this disease will get the recognition that is necessary to find a treatment, and ultimately a cure. Although I know that I will not see the day when a cure is discovered, it is my hope that my grandchildren will know a world without Alzheimer’s and dementia. For us to reach this goal, we will have to work together. Last week the Alzheimer’s Accountability Act was passed. Experts at the National Institutes of Health will now have an annual opportunity to provide Congress with budget recommendations reflecting the current state of Alzheimer’s research and emphasizing the most promising research opportunities. Your voice is powerful and needed – and you don’t have to travel to Washington to have it heard. All it takes is a minute and a click of your mouse. Join me in asking Congress to fund the research necessary to reach the goal of the National Alzheimer’s Project Act to prevent and treat Alzheimer’s by 2025 by clicking here. 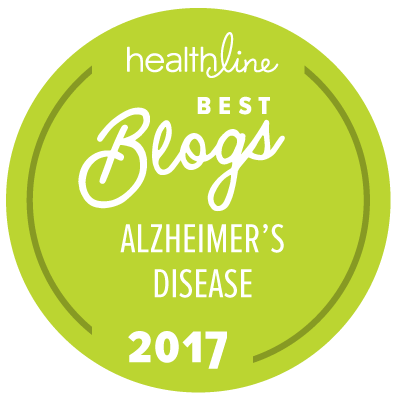 About the blog author: Terry is living with younger-onset dementia and is a proud member of the national Alzheimer’s Association Early-Stage Advisory Group. In 2013, Terry received the Inspiring Champions Award from the National Capital Area Chapter for her contributions to the local chapter. According to Terry, “A diagnosis of Alzheimer’s or other dementia is not the end of the journey.” Terry lives in Manassas, Virginia. She has three daughters and eight grandchildren. Thank you for all of your hard work. Your voice in the fight to find a cure for this disease is so important because you are speaking from first-hand experience. You are making the world a better place not only for your grandchildren, but for everyone. Your struggle with Alzheimer’s Disease is not only brave and full of daily courage, but truly inspirational. God bless you!!! You are inspiring! I am 91 years old and have "worked" with memory since 1940. I was born in Finland and was in the Finnish army ,4years , during world war 2. At that time I developed a memory program that was more than helpful. In 1948 I improved on the program. The next 5 years I did many "shows" on memory. In 1952 I emigrated to America. In 1970 I worked with a memory expert. I have since spent many hours studying memory. From time to time I miss a word, but I usually find it in a few minutes. I have many new ideas on: " how to improve" your memory. I don't "improve" the memory, I teach you how to USE your memory. My slogan: " Use it or lose it". Give me a number: from 1 to 10,000, and I can repeat that, now or later. Actually several numbers. I am looking forward if I can help someone else. Dear Advocate; My memory from 6 to 23 years of age was amazing, since then I Rarely remember word for word and I live currently for the moment,but it upsets me that I do not Remeber what my kids and wife talk about. I believe I have a partial cure that I stumbled upon and would like someone who can move it forward, I recently went to a healthy Smoothie store which had oxygen for customers after taking in the oxygen a few times my memory was improving phone numbers, birthdays , day of the week , alertness with listening. The second part I notice every time I go up in a plane for 2 days I can hear better without have underwater pressure where my tv sound is at 80. Some sort continued therapy of decompression along with oxygen to the brain preferably when sleeping I believe a lack of oxygen killing the brain and memory. Even if you pass a hearing test or a dr. Does not believe your memory or sound issues to get because you pass test result there has to be away to see if this works.